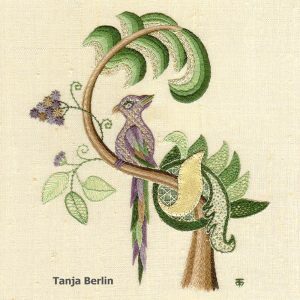 The Bird of Paradise is an advanced surface embroidery technique. The design is inspired by traditional Jacobean tree motifs but on a smaller scale and incorporates modern materials such as silk ground fabric, cotton threads, metallic thread, organza fabrics and kid leather. 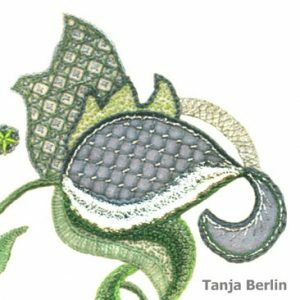 There are 22 surface embroidery stitches worked on the Bird of Paradise design. 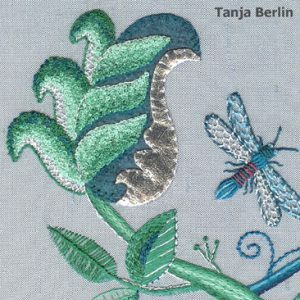 The Dragonfly is an intermediate surface embroidery technique. The design is inspired by traditional Jacobean floral motifs but on a smaller scale and incorporates modern materials such as silk ground fabric, cotton threads, metallic thread, organza fabrics and kid leather. 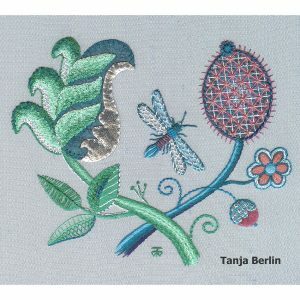 There are 20 surface embroidery stitches worked on the Dragonfly design. The Floral Motif is a beginners surface embroidery technique. 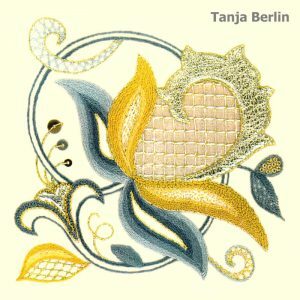 There are 15 surface embroidery stitches worked on the Floral Motif design. The Floral Swirl is a beginners surface embroidery technique. 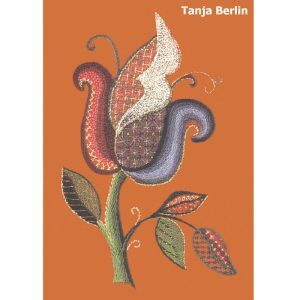 There are 14 surface embroidery stitches worked on the Floral Swirl design. 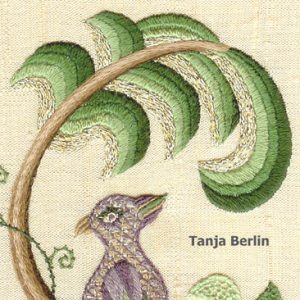 The Tree Motif is an intermediate surface embroidery technique. 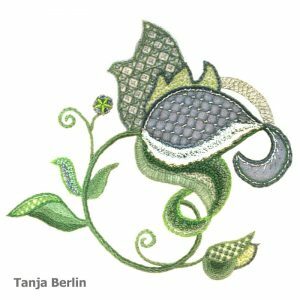 There are 18 surface embroidery stitches worked on the Tree Motif design.